This was a company formed by ex-Harley-Davidson engineer Erik Buell back in 1983. 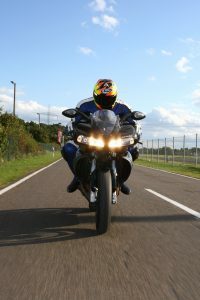 His former employer bought 49% of his company a decade later, before Buell became a wholly-owned ‘part and parcel’ of H-D in 2003. It seemed a shrewd move on Harley’s part. After all, the likeable former racer had been finding race-replica or sportsbike homes for its V-twins for years: the likes of the Thunderbolt and Lightning (don’t say it…) the Cyclone and later Firebolt and later XB9 Lightning… So, it was a real ‘alternative’ to the traditional cruisers which Harley-Davidson churned out, but still different and still very American. It seemed a perfect ‘fit’. 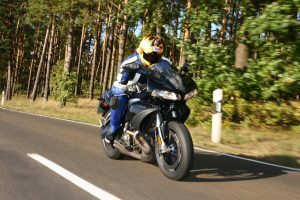 Things changed around 2005 when work began on a new range of machines: these would be in conjunction with Rotax, who would work with Buell on the liquid-cooled V-twin motors and be ready for launch in 2007. 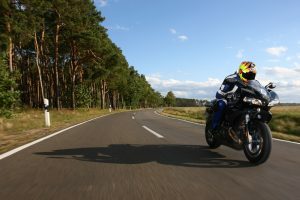 Some big names, including Jeremy McWilliams and Niall Mackenzie were allegedly involved in developing the bike, but something seemed a little wrong when the launch went ahead at the scary and challenging Laguna Seca circuit in California during August 2007. Hot air being directed from the engine onto riders’ right foot at low RPM. 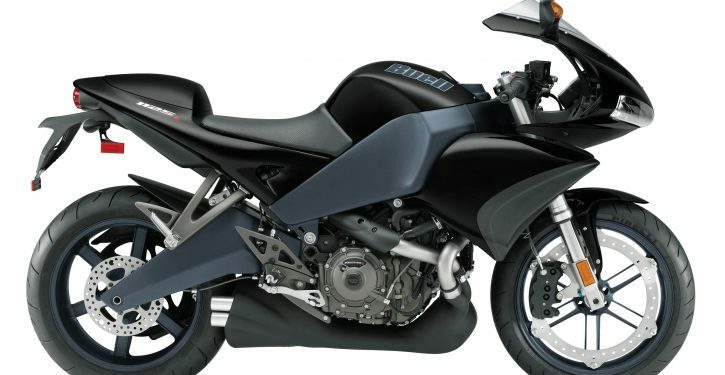 Essentially the Buell 1125R was both a new beginning and an extension of what had gone before for the American marque. 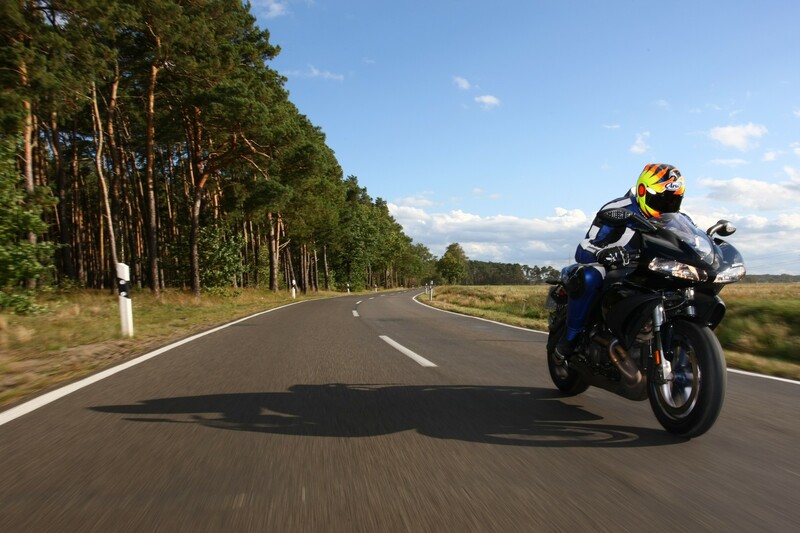 Riding the 1125R gave a good first impression, thanks to that new motor. There was a beautifully broad spread of power from the 72-degree liquid-cooled motor and around a track like Laguna it helped you, as your gear selection didn’t have to be spot-on. The brakes too, were superb. The-then new eight-pot Zero Torsion fixed caliper meant less weight than a conventional dual-disc system and it worked very well, hauling the whole 170 kilo machine up very nicely indeed. The only black mark journalists found was when some sort of warping to the 375mm front disc led to judder and brake fade at the lever on one of the test bikes. What about the normal stuff? The instrument cluster was pretty good, with a digital speedo, nestled in a clear tacho, although the idiot lights weren’t too visible in the strong Californian sunlight. The mirrors worked OK – they were large enough and well-positioned, even if they vibrated a little when you were working the engine hard. OK, so the looks: it was love or loathe, but the bike did eventually grow on people. One thing the Americans missed a trick with were colour schemes: it was black or nothing. What were they thinking? With sportsbikes of the time in the noughties getting smaller and more uncomfortable, the Buell was a real breath of fresh air. Sure it was and is still small, but there was plenty of comfort to be had from the ergonomics and that bulbous fairing did a good job of protecting you from the elements. Both levers were also span adjustable, while the footpegs were also adjustable. But it was all a bit too late, it seemed. Post economic crash, on October 15th 2009, Harley-Davidson announced the ‘discontinuation of the Buell product line’ as part of its overall strategy. Their last Buell was produced just 15 days later, making the overall Buell production run 136,923. What a shame. The 1125R should have given both die-hard Buell fans the next level of machine they were looking for while giving those looking for something different something… well, ‘different!’ The bike (at launch) was priced at £8495 and was therefore some £500 more than a UJM GSX-R750 of the time. Today… well, you can pick up a piece of history for around £3000+. OK, so you’re not going to have the support of a big network, but you’ll have something rare and special and – perhaps – something that is appreciating. Just get a few of the final-drive belts in your garage… They snap.